Our 4 Color 4 Station Single Rotary Screen Press can simultaneously install four screen plates. The screen layer is able to rotate independently upon installation, then it is available for four colors’ overprinting and making progressive proofs. 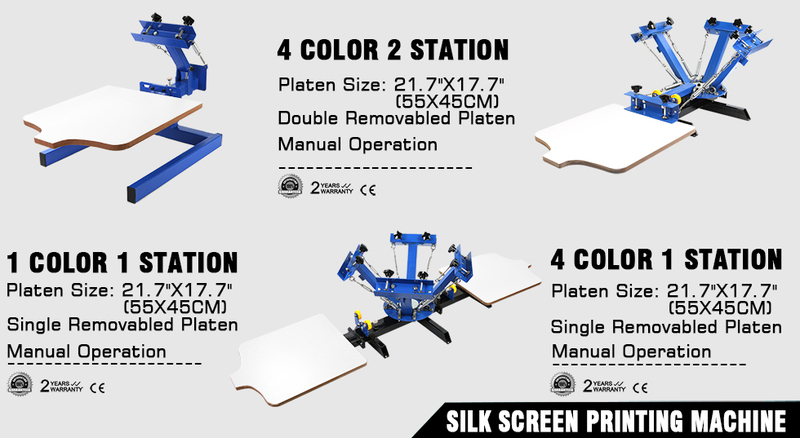 Note: The screen frames are not included with the 4 color 4 station screen press. Excellent packaging: All our equipments areperfectly packaged by high-strength five-layer corrugated carton, inside with standard soft and hard foam and three-ply board, all metal parts are separately packaged, which guarantees product safety during transportation.